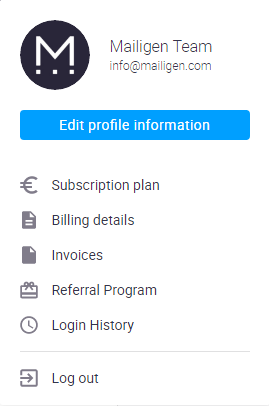 Your account profile represents information about you in our system. 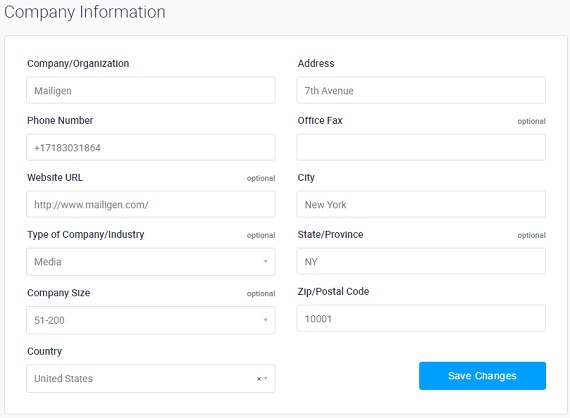 This information serves a variety of purposes including identification when sending emails, billing for your account, and more. Select the Edit Profile Information option from the Profile Menu in the upper right-hand corner (accessed by clicking on your name). This will display your profile information. Email Address—this is the email address to which notifications and other email sent from our system will be sent. Note: This is the email address you used when you created your account. If you want to change this, you will need to verify the address by clicking on a link in the verification email sent to you by us. Email campaign summary report. 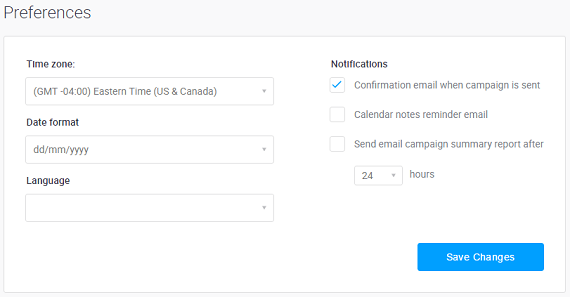 For this option, you can use the drop down to select the number of hours after the campaign has ended that a summary email will be sent.